There’s a right way and a wrong way to prune tall branches and limbs with a chainsaw – it’s called a pole saw. Front hand guard. Helps protect your left hand. Chain oil bulb. Press this every 10 to 30 seconds or so while cutting – helps the saw chain run smoother and prevents damage. Oil level window. Indicates how much chain oil you have left. Make sure the oil level is always at least half-way up the window. Chain oil cap. Bar and Chain oil goes here to lubricate the saw chain as it runs. Guide bar and guide bar tip. Support and guide the saw chain. Saw chain. This does the cutting. Tension adjustment screw. For loosening or tightening the pole saw chain. Bucking spike. 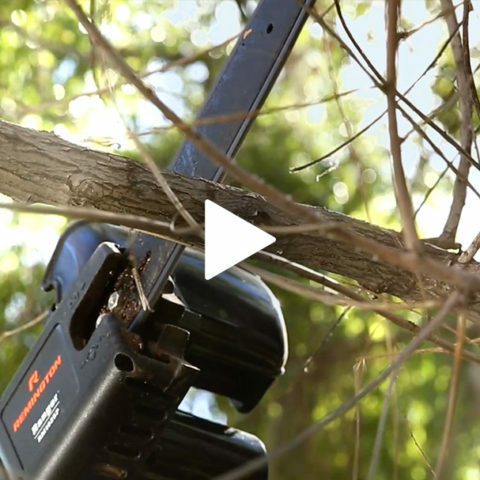 Helps you maintain stability when cutting downed limbs with the pole saw. Coupler. Connects the two sections of the pole. Note: Once assembled, the pole can’t be disassembled. Extension Boom. 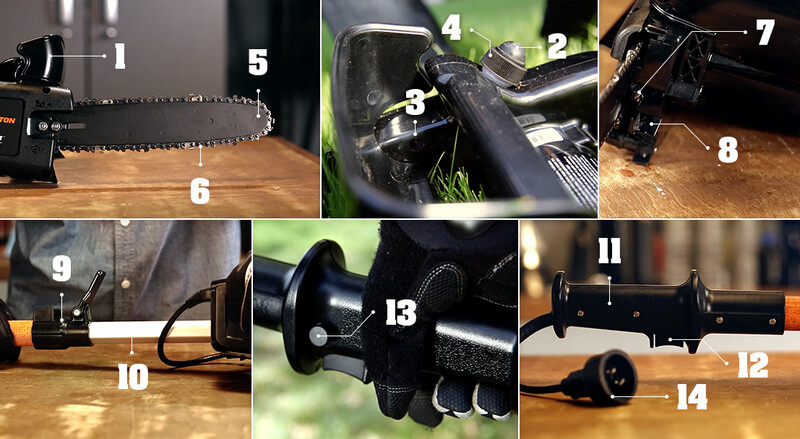 Attaches to the chainsaw to give you more reach. Rear handle. Maintain a firm grip on your pole saw with your right hand here. Throttle control. Gets your chain spinning. Throttle lockout. Prevents the pole saw from starting accidently. Power cord. It’s a good idea to loop your power cord and extension cord when connecting – so if either gets snagged, you won’t lose power. Bringing down tree limbs can be dangerous if you don’t know what you’re doing. Learn how to know what you’re doing. 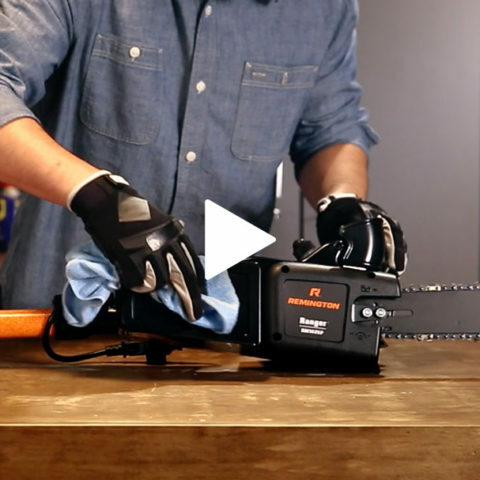 Simple steps can keep your equipment in optimum cutting shape.